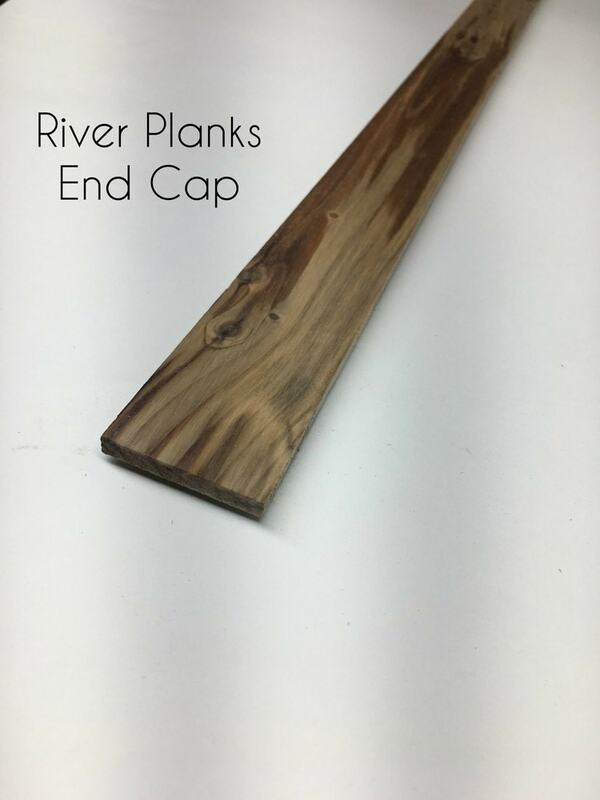 Timberchic River Plank Peel and Stick Reclaimed Wooden Panels River Plank /End Cap / 3/8" x 1-1/4" x 48"
Size: 3/8" x 1-1/4" x 48"
Timberchic has undertaken the largest lake reclamation project in New England, and probably the country. This lake and river system was used to convey wood to Maine’s lumber and paper mills for over 150 years. Over that length of time, an enormous amount of wood sank to the bottom and was forgotten – until now. Our lake project is returning an undeveloped, northern Maine lake to its natural ecosystem and producing an incredibly unique product with rich colors and textures. Yearly, our recovery efforts harvest the equivalent of 1,000 acres of forested land. Even with the vast amount of wood that is in this lake, it is still a limited resource. Using thin-kerf sawing technology we are able to significantly improve the yield of this historic treasure. 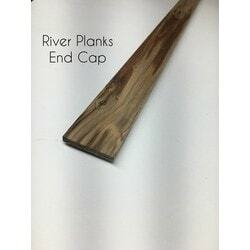 Our planks are 1/8” thick and sawn with state-of-the-art thin blade saws. This allows for very little waste and much more surface coverage than dimensional lumber, with the same look. Because it comes prefinished and is peel-and-stick applied, it is an ideal DIY product for any reclaimed wood enthusiast.Timberchic reclaimed wood planks can transform any space in a matter of moments with its easy to use peel and stick technology. This product comes in a variety of stains to match any decorating scheme imaginable. Timberchic can be used on a variety of surfaces that include, but are not limited to walls, ceilings and backsplashes. Start reclaiming your space today with Timberchic! Used on outside corners when only one of the adjacent walls is being cladded with Timberchic®. Also used as a general termination or transition. EASY TO USE: Simple and straightforward peel and stick application. PRE-FINISHED PRODUCT: End-Caps arrive pre-finished and offer a easy to clean smooth wipeable surface.